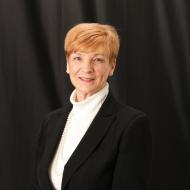 Long tenured employee, Norma Eichinger, moves into an internal auditing role for Title Alliance. Having run a very successful JV for several years, she understands the nuances to look for in files and systems to assure compliance. Her experience in the industry makes us confident that she has the knowledge and tools to be successful as an internal auditor. Title Alliance, Ltd, a RESPA-compliant ESOP leader in joint ventured title insurance agencies, announced today it has appointed Norma Eichinger as an Internal Auditor. Her appointment comes after the announcement of their first joint venture in New Mexico. Eichinger’s career in the title industry began in 1985 when she worked as an administrative assistant for a real estate company. In 1989 her responsibilities evolved to a title company, Settlement Services, Inc. which was managed by Title Alliance. In 2001, Eichinger found her home with T.A. Town and Country Land Transfer. As manager, Eichinger was responsible for ordering the title search, clearing title, closing, issuing policies, reconciling and recording documents, as well as attending to customer’s needs, concerns, and questions. As an Internal Auditor, Eichinger will be in charge of auditing files to maintain compliance with our ALTA Best Practice Certification and SOC Attestation Report Ratings. Eichinger will work hand in hand with the Compliance Department to assure that all team members in their various JVs continue to be educated on the requirements to help them remain in compliance with all state, federal and local laws. She will be headquartered in their Media, PA Corporate Office.